Click on the plus symbol (+) in the top right corner of the Actuals screen. the quantity of livestock involved. When entering a Birth event you'll notice an extra field called Parent Ext Code. 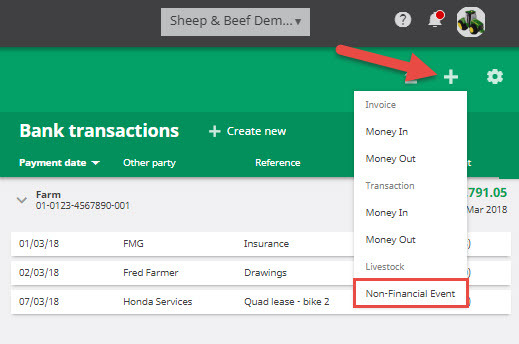 This field lets you allocate the event to a breeding stock class such as MA ewes, 2th ewes or ewe hoggets so that breeding percentages can be calculated. Click Save when you have completed the event. Once the event has been recorded you can view it in the Stock Activity tab.